O Su Yong (O Su-yo’ng) is a Vice Chairman of the Workers’ Party of Korea [WPK] and Director of the WPK Economic Affairs Department. O is also a Member of the WPK Political Bureau, the WPK Executive Policy Council (bureau), the WPK Central Committee and a deputy to the Supreme People’s Assembly. O is a career technocrat and has had management positions in state-owned production units. His first significant position was in 1988 when he was appointed to the Electronic Automation Industry Committee under the former State Administration Council. In September 1998 he was appointed Vice Minister of Metals and Machine Building Industry. He was promoted to Minister of Electronic Industry in December 1999. He attended an inter-Korean table tennis tournament in July 2000. In September 2002, O attended the launch of the A’chim-Panda Computer Combined Company(Morning-Panda Joint Venture Computer Company) which, among other products, finishes manufacturing televisions sold in the DPRK He was elected a deputy to the Supreme People’s Assembly in August 2003. During the first session of the 11th Supreme People’s Assembly, O Su Yong was retained as Minister of Electronic Industry. O participated in a November 2005 DPRK Cabinet inpection event at the Pyongyang 326 Electric Wire Factory and have an interview with DPRK state media of his impressions of the tour. He received the Order of Kim Il Sung on March 21, 2007. 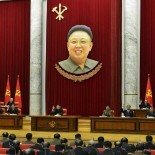 At the first session of the 12th Supreme People’s Assembly in April 2009, O was removed from office as Minister of Electronic Industry and appointed DPRK Vice Premier. On October 7, 2009, O Su Yong spokes on behalf of the DPRK Government at a reception held at the PRC Embassy commemorating the 60th annniversary of DPRK-China relations. O said at the reception, “in six decades since the establishment of diplomatic ties, the DPRK and China have closely supported and cooperated with each other in the political, military, economic and cultural realms; encourage and promoted socialist construction in the two countries; and, contributed to the peace and stability in Asia and the world at large.” O later met with a delegation from Vietnam in February 2010, along with former DPRK Foreign Minister Pak Ui Chun. O Su Yong attended a mass rally in Hamhu’ng, South Hamgyo’ng Province, on March 6, 2010 marking the reopening of the February 8 Vinalon Complex. The mass rally was the first observed mass rally attended by late DPRK leader Kim Jong Il that was held outside of Pyongyang. O was part of a delegation led by Supreme People’s Assembly Presidium President Kim Yong Nam that visited the Shanghai Expo during April 2010. The DPRK delegation met former Chinese President Hu Jintao on April 30, 2010. O was removed from office as DPRK Vice Premier on June 7, 2010 during the third session of the 12th Supreme People’s Assembly. On July 1, 2010 O was identified as Chief Secretary of the North Hamgyo’ng WPK Provincial Committee when he spoke at an anti-US army-people solidarity rally in Ch’o’ngjin held to mark the start of the Korean (Fatherland Liberation) War. He was elected to the WPK Central Committee on September 28, 2010 during the 3rd Party Conference. O was a member of the travel party of late DPRK leader Kim Jong Il during KJI’s August 2011 visit to Russia and China. O Su Yong received the Order of Kim Jong Il in February 2013. O Su Yong (right) Kim Jong Un looks over production at the Ryugyo’ng Pickle Factory in suburban Pyongyang (Photo: Rodong Sinmun). In April 2014, O was appointed Chairman of the Supreme People’s Assembly Budget Committee and became a member of the WPK Secretariat, seemingly serving at the WPK Secretary for Light Industry and replacing Kim Kyong Hui, Kim Jong Un’s aunt. O was part of a two year process in which the WPK’s economic, finance and planning departments were being reorganized and the leading economic and planning officials were reassgined. In August 2015, O became an alternate (candidate) member of the WPK Political Bureau. In these positions, O became a routine member of Kim Jong Un’s entourage when Jong Un inspected civilian factories and production units. During the 7th Congress of the WPK (7th Party Congress), O Su Yong was elected a member of the WPK Central Committee. He became the first director of the WPK Economic Affairs Department in eight years since the retirement of Han Song Ryol and was also elected a WPK Vice Chairman, a Member of the WPK Political Bureau and a Member of the WPK Executive Policy Council. O Su Yong was born in 1944. He has ties to Jon Sung Hun, having replaced Jon as Vice Minister of Metal and Machine Building Industries in 1998 when Jon was promoted to Minister. In 2014, Jon Sung Hun replaced O Su Yong as the WPK’s boss in North Hamgyo’ng Province.